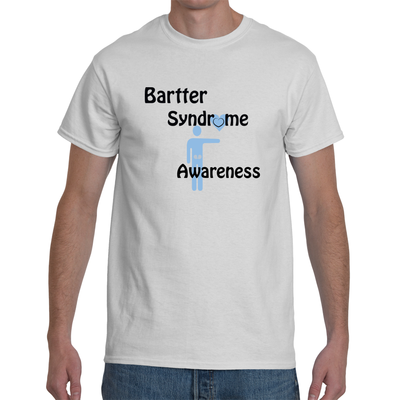 The purpose of our foundation is to promote awareness and research of the bartter syndrome. 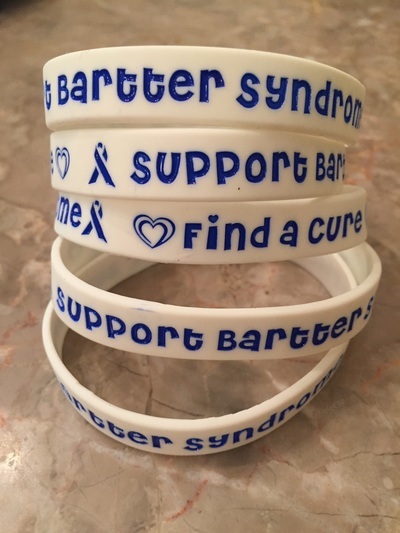 The Bartter Syndrome Foundation was started to inform others of a rare kidney condition termed bartter syndrome, to offer funding into clinical research associated with bartter syndrome and help others cope with the difficulties and financial burdens associated with battling this disorder. Bartter syndrome is a rare hereditary salt-wasting disorder, characterized by metabolic alkalosis, hypokalemia, hyperreninemia, and hyperaldosteronemia of varying severity1. This autosomal recessive disease is caused by mutations in the gene encoding barttin, BSND, an essential sub-unit of the ClC-K chloride channels expressed in the kidney2. Neonatal bartter syndrome is characterized by intrauterine polyhydraminos, premature delivery, and life-threatening episodes of fever and dehydration3. Untreated bartter syndrome patients may succumb to dehydration, dyselectrolytemia, and intercurrent infections, sensorineural deafness and develop chronic renal failure4,5. Defects in the barttin subunit of the ClC-Ka and ClC-Kb channels are responsible for the sensorineural deafness6. It is the mission, duty and purpose of the Bartter Syndrome Foundation to address, educate, coordinate, and promote awareness and research of bartter syndrome. The awareness of the condition is important for early recognition4. If the diagnosis gets delayed, infants may present with poor feeding, dehydration, and severe electrolyte imbalance; which can lead to dwarfism and/or mild mental retardation4. 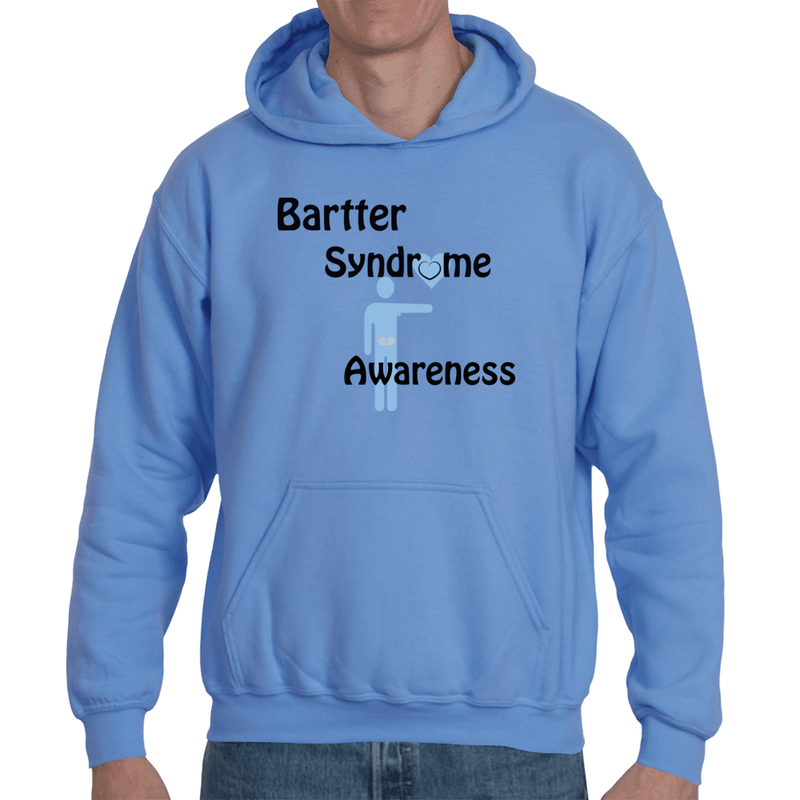 The Bartter Syndrome Foundation understands the importance of novel technology, our foundation will offer contributions to clinical research, mainly hybrid stem cell-gene therapy; which could promote the gene therapy of renal diseases toward clinical application. A newer strategy in biotechnology is the development of recombinant genetic engineered compounds and, recently, cell therapy derivatives7. Mutational analysis of the genomic DNA will identify the fundamental defect in the patient and confirm diagnosis of bartter syndrome8. In these individuals, kidney-targeted gene therapy could be an ideal treatment for renal diseases since the therapeutic molecule is limited in the kidney and the systemic effect may be minimized9. Thanks to the progressive understanding of the cellular and molecular basis of renal function and disease, during the next several decades advancements into kidney-targeted gene therapy may reduce complications and eliminate morbidity in bartter syndrome carriers7. Medonca M, Pinheiro A, Castro I. [Bartter syndrome: a new approach]. Acta Med Port. 3:671-674 (2011). De Pablos A L, Garcia-Nieto V, Lopez-Menchero J C, Ramos-Trujillo E, Gonzalez-Acosta H, Claverie-Martin F. Severe manifestation of Bartter syndrome Type IV caused by a novel insertion mutation in the BSND. Clin Nephrol. Oct 30. Epub ahead of print (2012). Madrigal G, Saborio P, Mora F, Ricon G, Guay-Woodward L M. Bartter syndrome in Costa Rica: a description of 20 cases. Pediatr Nephrol. 3:296-301 (1997). Bhat Y R, Vinayaka G, Sreelakshmi K. Antenatal bartter syndrome: a review. Intern Pediatr. 10:1155-1160 (2012). Jeck N, Reinalter S C, Henne T, Marg W, Mallmann R, Pasel K, Vollmer M, Klaus G, Leonhardt A, Seyberth H W, Konrad M. Hypokalemic salt-losing tubulopathy with chronic renal failure and sensorineural deafness. Pediatrics. 108:1:E5 (2001). Landau D, Shalev H, Ohaly M, Carmi R. Infantile variant of bartter syndrome and sensorineural deafness: a new autosomal recessive disorder. Medical Genet. 4:454-459 ( 1995). Torras J, Cruzado J M, Herrero-Fresneda, Grinyo J M. Gene therapy for acute renal failure. Contrib Nephrol. 159:96-108 (2008).